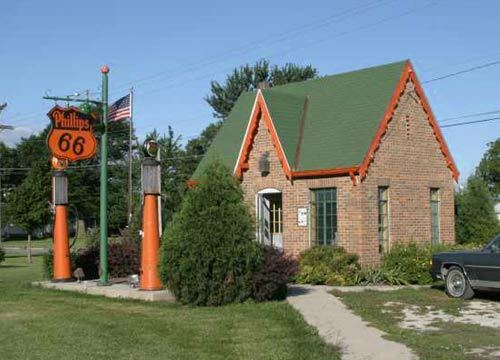 The December Christmas party was held at the Lima Elks Club. No treasurer's report was given. We had a total of 26 members and guests present. It was agreed by all present that the dining area of the Elks was a lot more intimate and friendly than any of the restaurants that we have had Christmas parties at in the past. We all agreed that we should try to make the same arrangements for next year. Marilyn supplied chocolate door prizes from one of the candy shops that we stopped at on one of last year's tours. 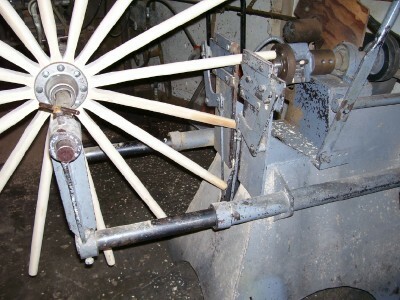 Since the first Wenesday in January was going to fall on the 2nd, it was decided to cancel the meeting. This is always a questionable meeting with the weather and all. We have been invited to participate in the Wapakoneta 175th Anniversary celebration this year. They will be holding a homecoming parade on June 21st at 2 pm, beginning at the Auglaize County Fairgrounds. The total length of the route will be 1.2 miles. We all agreed that, since one of the purposes of our club is to educate the public about the Model T Ford, we should participate in the parade as a club. I will request that the old cars be placed early in the parade so that we don't have the problem of overheating that can occur when we are place further back in the mix. It has been brought to my attention that the Findlay Historical Society is debating the date of the Old Car Show at the Findlay Museum between the dates of August 23rd and August 30th. They should be made aware that August 30th will leave out a lot of the Model T's because of the All Ohio Model T Jamboree in Jackson, Ohio on Labor Day weekend. Please bring any ideas for this year's activities or tours to the meeting. We'd love to hear what you have to say. And so, remembering what Jackie Gleason would say (he was the one with the June Taylor Dancers) "And Awaaaay Weeeee Go"
I know that its kind of early to be looking at 2009 since we are just starting 2008. This is one of those tours that will fill up fast; so, I thought that I'd give everyone the heads up on this tour. Please only consider this tour if you have a proven good climbing T with good brakes. 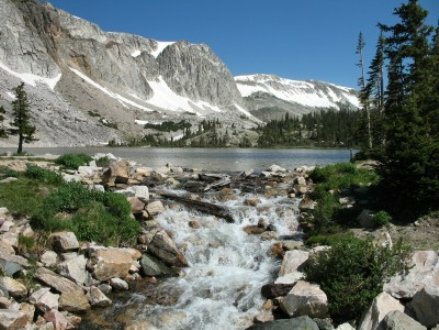 Day two: This is Lake Marie on Snowy Range Pass. Much of the tour is in areas as scenic as this. Day six: We will still be in a very scenic area. This is Forest Canyon Overlook on Trail Ridge in Rocky Mountain National Park. For more information, contact Dave Huson. My friend Brad Wallace from Pennsylvania posted on the Early Buick internet site, that I keep an eye on, that he was looking for a brass era touring car. 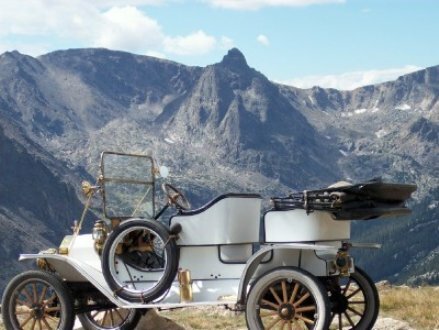 He and his wife had made the decision to buy a touring because his 1913 Studebaker Model 25 Roadster just didn't have enough room for his wife, daughter, and himself. He liked the bigger early car; but, he needed the room of a touring. He is happy with the Model T that he has. The old big brass cars are just more desireable. 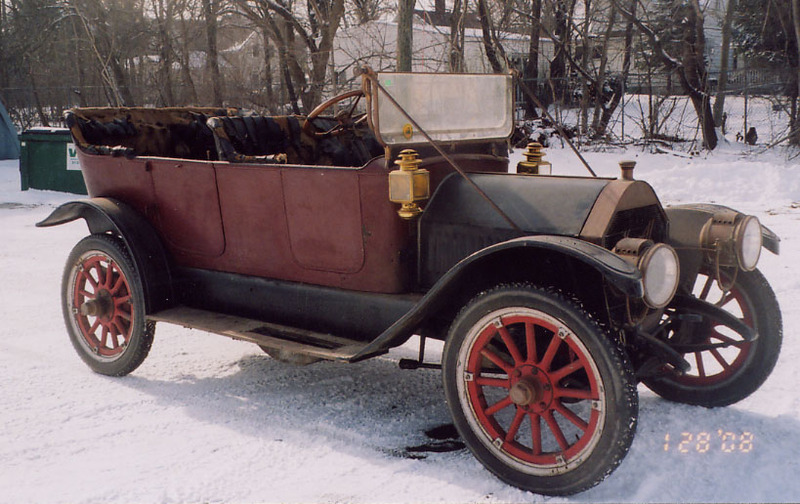 Anyway, with a six month search and a few connections he has come up with this 1912 Maxwell Special. It's a 36 horsepower T-head 4 cylinder touring. We will be touring with Brad and his family next summer around Hershey, Pennsylvania. 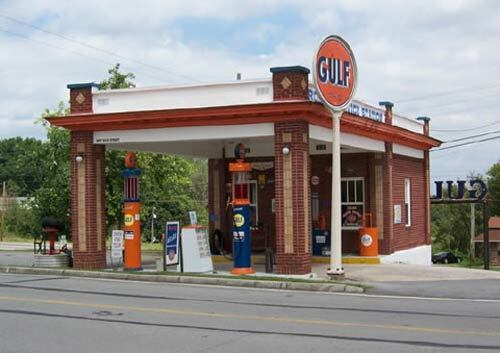 Bob sent me a bunch of pictures of early gas stations. I have printed a few of them here. If anyone is interested, I could print more of them. 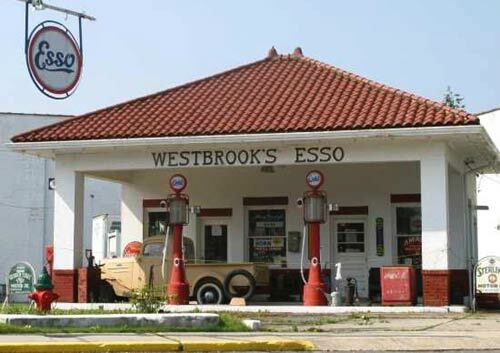 It would be interesting if we could start a collection of early gas station photos of our own. 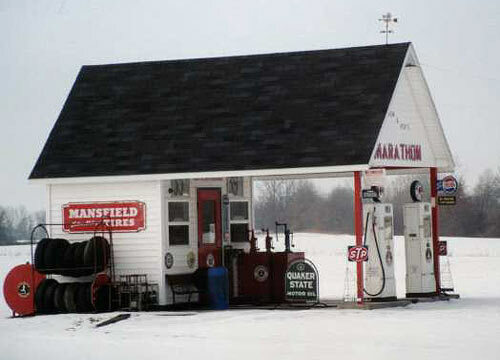 I know that there are still old gas station buildings dotting the countryside and hidden away in communities all over Northwest and Central Ohio. Many are still standing. Some are used as garages. Still others have no connection to their previous glory. Get those cameras out and take some pictures before these early buildings vanish entirely.